"Throw them all out! ", former Socialist Party minister Jean-Luc Mélenchon has chanted throughout the last five years. For once, Francois Hollande agrees. After the elimination of Cécile Duflot and then of Nicolas Sarkozy in their respective primaries, the French president has been forced to abandon the race for reelection before even entering. Because it's coming from an acting head of state, this renunciation represents the deflagration of an unparalleled symbolic power. It is a new step in the weakening of presidential power, that Hollande was forced to electoral resignation by an atomized majority, and the unanimity of a French public eager to turn the page. The era of constant news, digital communication and immediate decision-making would have overwhelmed Hollande, who dreamt of being a "normal" president who could re-invigorate "the French dream." While it's an institutional failure, his decision not to run is the product of an impossible five years, disturbed by external shocks, weakened by chaotic management and the indecisions of a man who has not been forgiven his mistakes. All of this political instability had an immediate consequence: Hollande's course was illegible. What brought François Hollande down was his failure to deliver on all the different promises he made. To the supporters of Keynesian tradition, he promised a revival by boosting investment and purchasing power. To the apostles of the sound budgetary management, he pledged a reduction of the deficits. By the end of 2012, the adoption of the European budget treaty, which candidate Hollande had sworn (in vain) to renegotiate, marked the first sign of trouble. The Competitiveness and Employment Tax Credit, the appointment of the liberal Manuel Valls as Prime Minister, the departure of environmentalists, the "offer" of 40 billion Euros in tax breaks to companies -- all of these factors contributed to the fracturing of the left. The Labor Act marked the culmination of this clash between two lefts. When the prime minister referred to their differences as "irreconcilable," he made the clash permanent. This perpetual arm-wrestling within the majority only accelerated the anxiety in the government. As early as the summer of 2012, Hollande's "normal presidency" darkened in the face of the urgency of the social situation, and later in the face of internal and intimate crises. Asphyxiated by budgetary constraints and a flawed politics, the ministers multiplied their blunders, and attempted to undermine the authority of the president and the prime minister. The obsession with consensus and a pledge of justice from the president brought on resignation, illustrated by a moment of tragicomedy in the Leonarda case. The war between Jean-Marc Ayrault and Arnaud Montebourg on the Florange affair is yet another example. To make matters worse, various external shocks, from the military intervention in Mali to the attacks in Paris and Nice, forced François Hollande to constantly rearrange his priorities. This only emphasized the feeling of indecision emerging from the Elysee. All of this political instability had an immediate consequence: Hollande's course was illegible. François Hollande missed the moment of truth in the summer of 2012 by failing to warn the French of the gravity of public finances he discovered once he took office. A few months later, it was too late to denounce Sarkozy's chaos and disguised social plans. The head of state also made promises he couldn't keep, such as reversing the curve of unemployment by the end of 2013. 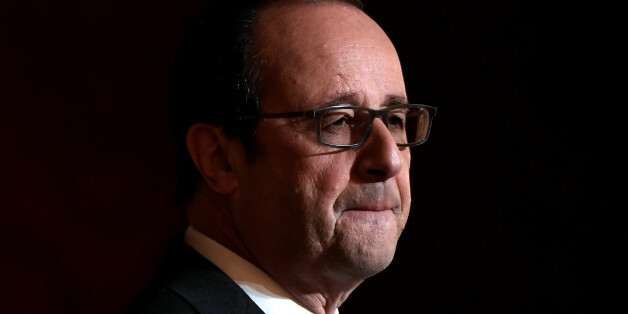 Instead of offering a diagnosis and cure, François Hollande took his chances. His book was full of indiscretions and petty little sentences. For the first time, it wasn't his governing style but his personality that made even his friends abandon him. When success finally did come -- internationally, with the historic success of the COP21 and domestically, with a drop in unemployment -- it was too late. And the pressure exerted on Hollande pushed him to commit other mistakes. Of all his fatal errors, François Hollande confesses only to one: proposing that terrorists be stripped of their nationality after November 13. He called this move his "only regret," in a recent speech. The consequence was a resurgence of opposition and a moral crisis within the majority, part of which remained faithful to the executive and part of which denounced Hollande's betrayal of their fundamental values. The second error was not mentioned in his speech. The publication of the book A President Should Not Say That: Secrets of Five Years in Office in autumn 2016, while Hollande was in full reconquest mode, completed the president's fall from grace. His book was full of indiscretions and petty little sentences. For the first time, it wasn't his governing style but his personality that made even his friends abandon him. This is a painful withdrawal for the president. His real record, free of the tumult of these times, will become clear later.